Owl I Want For Christmas is Hoo! 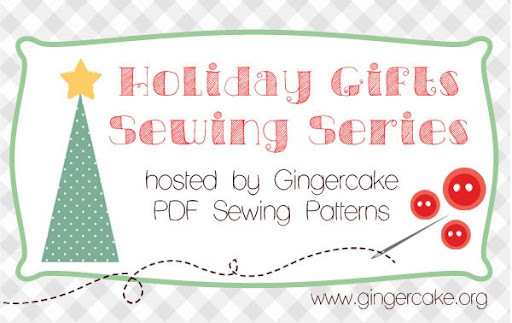 I was pleased when I was invited to be a part of the Gingercake Holiday Gifts Sewing Series. Every year I tell myself I’m going to do handmade gifts, and every year is going to be THE YEAR. And I think this year, it actually may, because I’m on a roll and not nursing a baby or going through morning sickness or nursing a baby or any of the other lame excuses I’ve had in the past few years. I’ve really been feeling the boy fabric lately so that’s where I started. Oh, did I say boy? I mean the NON-GIRLY fabrics. Not that a boy can’t rock the pink stuff, goodness knows Jackson has done it a lot and with total obliviousness confidence. I love me some frilly ruffley fabrics covered in bunnies and fairy tales and glittery unicorn farts, but I’m enjoying exploring the more neutral fabric world lately. Jackson deserves his time to shine, and I have 5 nephews just locally, so it doesn’t hurt to stock up on boyish handmade stuffies. Of course, Nicole figured that this was for Olivia, since it’s Olivia’s birthday on Saturday, and Olivia loves green. (which works great, because Nicole wants the pink plate and with six siblings I’ve seen things get ugly over plate colors.) I gave Olivia the side eye and showed it to her. “Oh, it’s mine Howl, thank you!” and off she went with it. Olivia can be the worst kind of ruffian but she’s also the best kind, because she has impeccable manners and tends to leave you scratching your head and feeling bemused and potentially bested. “Oh yes, I eat your ice cream now, thank you, bye.” Wait, what? The only problem I had was my own tendency to get excited and carried away. I missed the step that said HEY LAURA. 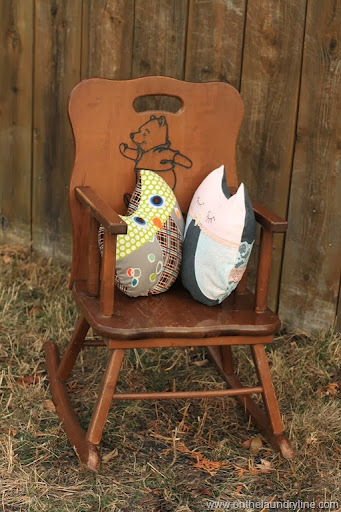 MAKE YOU SURE DID EVERYTHING BEFORE YOU SEW UP THE OWL. I forgot the beak and wound up hand-stitching it on, thankfully before stuffing. And then that got me thinking. 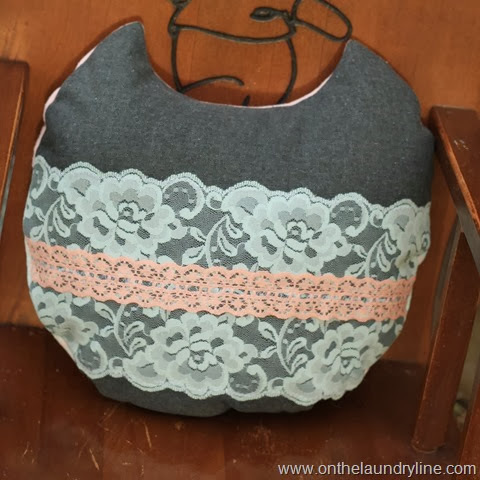 After I tucked most of my kids in bed last night, I peeked through a bunch of fabrics and pulled out lace, baby pink, some grey, and a bit of babyish yellow. And that’s when the magic happened. The second owl is done a bit bigger and better than the first (I’m a novice at making plushies and it shows) and I took it to a very girly place. Hand stitching, eyelashes, lace on lace, and pinky pink pink. I really, really love how this one turned out. I also love how Olivia (who napped late and partied all night) reacted to it. When she saw I was making a pink girly owl, she asked if it was for Nicole. My girls! They care so much for each other. 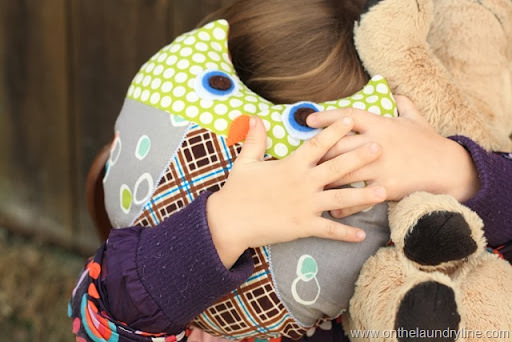 What I really love about this pattern, aside from the fact that it’s a super adorable owl, is how very versatile and easy to customize it. Which makes it absolutely perfect for Christmas presents for any gender, and really, any age. The pocket on the back is adorable and perfect for slipping in a gift card. (The girly version I skipped the pocket and did lace, which in person goes straight across, scout’s honour.) 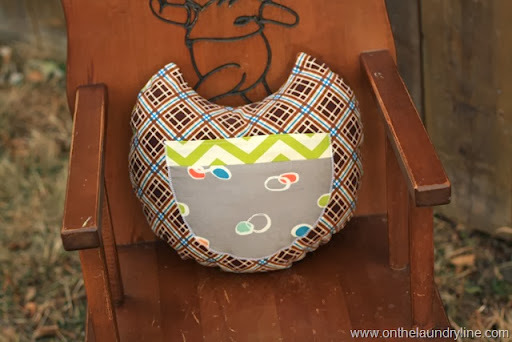 The project is perfect for fat quarters and scraps, particularly for the embellishments, and easy to add your own personal touch to. Giveaway is open until Monday, November 18 at 12am Eastern Time. Winner will be chosen at random, contacted by email, and will receive the PDF pattern from Gingercake. One entry per person, void where prohibited by law. This disclaimer blatantly ripped off of Skirt As Top. Spiderman E’er’day. Owl I want to do is have some fun…. Whooo would be happy to win this pattern??? ME! 😀 Then maybe Owl be home for Christmas with lots of these tweeties as gifts! 😉 Thanks for the chance! Love your owls! Super funny post! Made me laugh out loud. No entry for me (don't do facebook) but I loved the lacey owl! Owl will always be thankful. Whooo, I love these owls! 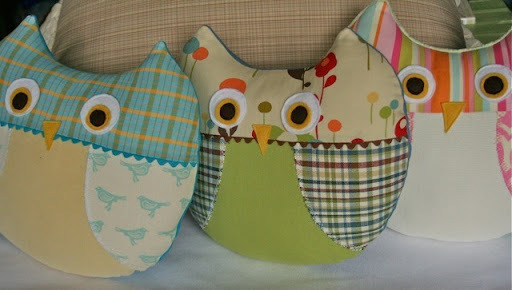 What a hoot it would be win the pattern so I can make some for my three girls and some of their friends and cousins!! Love these! The non-girly fabric one is great, but so is the girly one – it's sweet but not TOO sweet, I think. Oh and I basically ripped my disclaimer off of Rae. Sooooo….spidey is a thief. 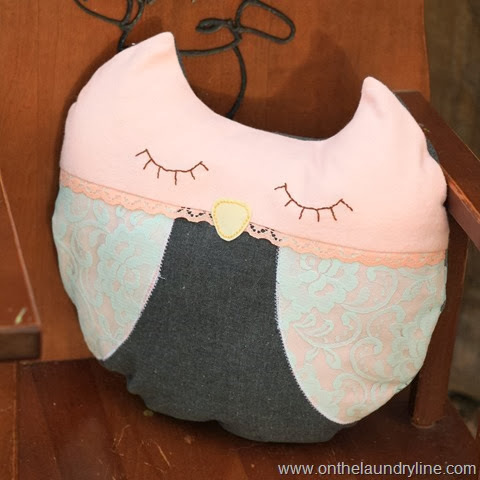 Owl I want for Christmas is a cute owl sewing pattern!